Unfortunately, as cryptocurrencies capitulated throughout the week, losing upwards of 15-20% of their value, so did the news cycle. However, it isn’t all doom and gloom, as there were still a handful of developments indicating that the crypto and blockchain industry is far from dead in the water. After hinting at the product for two months, over the past seven days, it has been divulged that Amun, a London-based fintech firm, will be listing a multi-crypto exchange-traded product (ETP) in Switzerland. The vehicle, fittingly dubbed the “Amun Crypto ETP,” will track the crypto market’s five leading assets — Bitcoin, Ether, XRP, Litecoin, and Bitcoin Cash. Interestingly, while Amun has focused its product on Bitcoin, the undisputed godfather of all cryptocurrencies, the fund will give a relatively-hefty quarter portion to XRP and one-sixth to Ether. 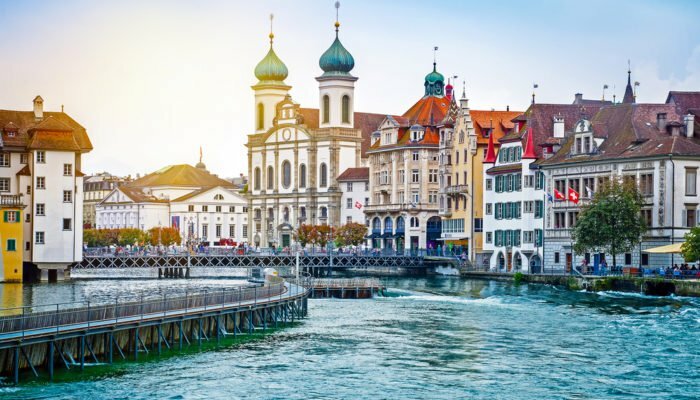 The product is slated to launch on the Zurich-based SIX Swiss Exchange, the European nation’s largest equity market in terms of capital flow. Jane Street and Flow Traders, two “specialist” market makers, have seeded the ETP, while also agreeing to act as authorized participants in the creation and facilitation of the vehicle. In an evident nod to the crypto community at large, the product will trade under the “HODL” ticker, underscoring the fact that Amun likely has its ear close to the ground of this industry, so to speak. Although this is a far cry from the launch of a product of similar stature in America, many see this as a positive sign nonetheless. However, the exchange-traded product scene has also been heating up in the U.S. as well, with Gabor Gubacs, VanEck’s head of Digital Asset Strategy, recently sitting down with Ran NeuNer of CNBC Africa’s Crypto Trader to discuss prospects for his firm’s Bitcoin-backed ETF. Gubacs explained that VanEck has now “done everything” they could to counteract the Securities and Exchange Commission’s fears of market manipulation, which led to a negative ruling on the firm’s ETF proposal previously. As such, many are hopeful that VanEck and its partners at the CBOE and SolidX will be able to procure a regulatory green light, before subsequently launching America’s first Bitcoin ETF in early or mid-2019. Per data compiled by Susquehanna, relayed through CNBC, the average Ether (ETH) focused graphics card (GPU) miner has seen their profits dwindle to $0 in the month of November, down from approximately $150 last summer. This collapse in profitability can be attributed to the rise in the Ethereum Network’s hashrate, which has more than doubled in the past 12 months, and the ever-growing presence and viability of EthHash ASIC machines. Susquehanna representative Christopher Rolland explained that even with Nvidia’s flagship GPU, the GTX 1080, the return-on-investment (ROI) provided shouldn’t make financial sense, especially in the long run. And as such, at the current trajectory that profitability is heading, GPU-enabled miners, even those who are looking to accumulate crypto assets for the long-term, will likely flunk out of mining entirely in due time. However, Tim Copeland from Decrypt Media has since debunked these claims, speaking with a number of mining savants, including Omegapool founder Greg Meszaros, who claim that throwing computational power at Ethereum to obtain Ether can be profitable in some nations. Interestingly, the Bitcoin Cash network upgrade went live as expected, with the decentralized nature of blockchain networks preventing direct denial-of-service attacks. While SV supporters held tight to their liferaft, ABC supporters celebrated, with Vitalik Buterin, co-founder of the Ethereum Project, even joining a livestream of the event to congratulate Roger Ver and his peers. However, since the NewsBTC report, Craig Wright’s camp has seen a monumental resurgence in mining activity, with SV quickly closing the block height and hashrate gap. Earlier today, as revealed by Coin.Dance, a website launched to monitor the fork, SV temporarily passed ABC in terms of hashrate, which is a first since the upgrade went live. Although ABC has since regained some strength, the block height cap has fallen to 15, down from a jaw-dropping ~50 on Thursday night. Regardless of the specifics, as a result of the continued confusion around the “true winner” of this fork, BCH has continued to capitulate, indicating that this multi-month conflict instilled more fear than faith in crypto investors at large. Google, Target Hacked In Bitcoin Twitter Scam: Early this week, reports arose that the Twitter account of Target, the multinational retailer, had fallen victim to an unfortunate security breach. Although this isn’t news in and of itself, the supposedly-hacked account posted a Bitcoin (BTC) scam in the format that crypto enthusiasts found all too familiar. Although the tweet was was only online for 30 minutes, mainstream media went into a frenzy, taking to their respective sites to essentially lambast hackers and crypto assets. This debacle saw Target and Twitter respond, with the latter explaining that it has implemented the correct measures to prevent such wanton security breaches. However, just hours, if not minutes later, Google’s G Suite Twitter account, responsible for telling consumers about Gmail, Google Drive, Google+, and a number of other popular products, fell victim to the same hack. Research: ICO Performance Dismal In Q3 2018: A 67-page report from ICORating, a leading crypto analytics startup, has indicated that token offerings suffered through the third quarter of this year. More specifically, funding of blockchain/crypto projects was down to $1.8 billion, a far cry from the $8.3 billion posted in Q2. Even worse, a mere four percent of the 597 ICO-issued tokens were listed on exchanges, with these tokens making up a small portion of the mere 23.15 percent of projects that had more than just a concept, idea, or vision. Reasoning why projects suffered throughout the past quarter, ICORating drew attention to a significant drop in returns (bear market), decreasing levels of transparency from teams, maturation of investors/funds, failure to innovate properly, slow blockchain/crypto adoption rates, and most importantly, the fact that ICO regulation has reached new heights.